One of the four Americans killed in a suicide bomb attack in Syria this week was a Navy sailor and married mother of two whose father is a high-ranking officer in the New York State Police. The Pentagon identified three of the four Americans killed in Wednesday’s attack in the northern Syrian town of Manbij. They are Army Chief Warrant Officer 2 Jonathan R. Farmer, 37, of Boynton Beach, who was based at Fort Campbell, Kentucky; Navy Chief Cryptologic Technician (Interpretive) Shannon M. Kent, 35, of Pine Plains, New York, and based at Fort Meade, Maryland; and a civilian, Scott A. Wirtz, from St. Louis. The Pentagon hasn’t identified the fourth casualty, a civilian contractor. The attack, claimed by the Islamic State group, also wounded three U.S. troops and was the deadliest assault on U.S. troops in Syria since American forces went into the country in 2015. The Pentagon’s statement said Kent was from upstate New York but didn’t give a hometown. New York Gov. Andrew Cuomo said in a statement Friday that she was from Pine Plains and was the daughter of state police field commander Col. Stephen Smith, the agency’s third-highest position. “We owe her our eternal gratitude for her selfless dedication and sacrifice,” Cuomo said while ordering flags on state government buildings to be flown at half-staff in Kent’s honor. Tara Grieb, principal of Stissing Mountain Junior-Senior High School in Pine Plains, said Kent grew up in the small, picturesque Hudson Valley town 90 miles (145 kilometers) north of New York City and graduated from the local high school in 2001. Grieb said Kent moved away after enlisting in the Navy in 2003. Kent’s mother, Mary Smith, taught sixth grade in the district until retiring last year, Grieb said. Kent, who lived in Maryland with her husband and two children, was assigned to the Cryptologic Warfare Activity 66 based at Fort George Meade. Cryptologic technicians are part of the Navy’s intelligence-gathering apparatus, analyzing encrypted electronic communications and using computers and other technology to compile information on the nation’s enemies. Florida’s Palm Beach Post reported that Farmer’s parents loaded suitcases into a friend’s SUV on Friday morning before heading to Dover, Delaware, for the return of their son’s remains. 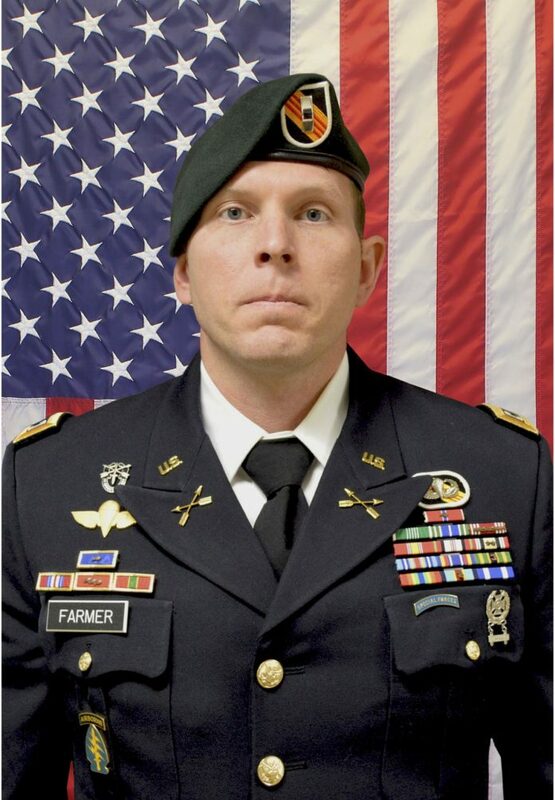 Jonathan Farmer was born in Boynton Beach, Florida, south of West Palm Beach. He grew up in Palm Beach Gardens, attending the Benjamin School before going to Bowdoin College in Maine. His father said Jonathan Famer was in the military for 13 years and had been in dangerous places “many times,” including Syria, Afghanistan and Iraq. He said services will be at St. Patrick Catholic Church in Palm Beach Gardens, but a date hasn’t been set. He said internment will be at Arlington National Cemetery. In Missouri, Gov. Mike Parson asked Missourians to pray for the family of Wirtz, a former Navy SEAL who was working for the U.S. Defense Intelligence Agency as an operations support specialist. Wirtz “died bravely serving our nation in a dangerous part of the world, and for that we are grateful,” Parson said.